Another example of avoidance of dialysis for several years with the aid of a supplemented very-low-protein diet is Mory East, a 32-year-old physician. At age 10, he developed recurrent fevers and was found to have defects in the ureters, which drain urine from each kidney into the bladder. These defects limited the outflow of urine from his kidneys and led to frequent urinary tract infections. He was operated on at that time, and the ureters were reimplanted into the bladder. Afterward he did better but had continuing protein in his urine, showing that his kidneys had been damaged. Two years ago X rays of the kidneys, after dye injection, showed that the drainage systems on both sides were dilated by the back pressure from the bladder. 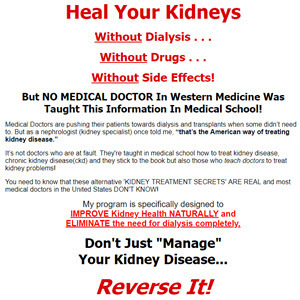 His kidney function had fallen to about half of normal. As his function continued to deteriorate, further surgery was performed on both sides to improve outflow. By this time he noted some fatigue but had no other symptoms. Physical exam was negative except for mild hypertension. His first glomerular filtration rate (GFR) at Johns Hopkins was 24.3 ml per min, or about one-quarter of normal. He had moderate acidosis (CO2 18 mM) and high serum potassium (6.3 mEq per liter). Serum creatinine was 3.0 mg per dl, serum urea nitrogen 36 mg per dl, and urine protein 1.1 g per day. For about one year, he was followed with periodic GFR tests, while receiving a low-protein diet (0.6 g per kg per day), sodium bicarbonate, an ACE inhibitor, and a beta-blocker. An alpha-blocker was substituted for the ACE inhibitor because his blood pressure was not well controlled. Sodium polystyrene sulfonate was added intermittently to lower his serum potassium level. Because some progressive loss of kidney function was detected, in January 1989 he was started on a very-low-protein diet (0.3 g per kg per day) supplemented (initially) by essential amino acids. For the next four years he followed the same diet and took alternately essential amino acids or ketoacids (mostly the latter). His GFR declined very slowly during this period, finally reaching 5.84 ml per minute at the end of 1993, with his serum creatinine rising to 13.4 mg per dl. Nevertheless, his serum urea nitrogen was only 39 mg per dl, reflecting his excellent compliance with the diet (which reduces urea formation). Serum albumin concentration remained normal (greater than 4 g per dl). During this four-year period he and his wife felt sufficiently optimistic to adopt a baby boy. He finally went on dialysis at the start of 1994, by which time he was complaining of intermittent nausea, occasional vomiting, itching, forgetfulness (but no drowsiness, confusion, or lethargy), and mild shortness of breath on exertion. Thus he probably deferred dialysis for about four years.